Six Nutrition Myths – Busted! 6 Nutrition Myths – Busted! The Internet is like the Wild West when it comes to nutrition information: Anything goes. That’s why the web is rife with less-than-accurate nutrition facts and it fuels myths that add to consumers’ confusion about what’s really healthy and what isn’t. At best, you can hope there’s a kernel of truth in what you’re reading, but often times, it’s just nonsense. Whether you’re reading something from a popular website or receiving an e-mail that sounds like it could be credible, be skeptical! There are a gazillion blogs and websites publishing nutrition misinformation, in an effort to increase viewership, sell a product or promote an agenda. Many of these myths started from a single-source but if they go viral they’re often treated like fact. Here, we debunk 6 popular online nutrition myths. Fact: This is one urban legend that never seems to go away. From celebrities to personal trainers, there’s no shortage of ‘experts’ advocating fasting diets or juice ‘cleansing’ to detoxify your body. 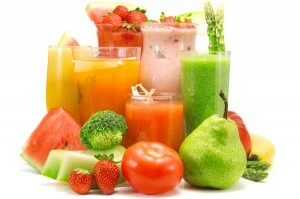 Despite all the hype, there’s little scientific evidence to support that the body is detoxified via fasting or juicing. Although caloric restriction, while not a strict fast, has been shown in some studies to extend life in rodents, yeast and various insects, it is too early to tell if this will have the same effect in humans. For most healthy people, occasional short fasts or a ‘juice diet’ of 1 day or less, won’t cause harm, however you may feel hungry and tired. If you really want to do you body a favor, get regular exercise, sleep, and eat a healthy, balanced diet. Fact: Canned fruits and veggies are nutritionally equivalent to their fresh and frozen counterparts. What’s more, a review of the research found that canned fruits and vegetables are, in some cases, even better. 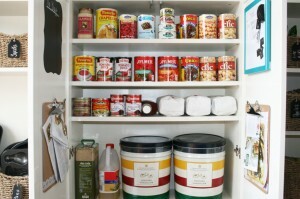 For instance, canning helps make fiber in certain foods, like beans, more soluble and therefore more useful to the body. Canned tomatoes are also higher in the antioxidant lycopene (noted for its cancer-fighting benefits) and more B vitamins than fresh tomatoes. Plus cans have the added benefit of being more convenient (you can just stock up your pantry and not have to worry about produce spoiling in the fridge) and they’re available all year long. For a quick and nutritious meal, try this amazing Tuna Nicoise Salad! Fact: The subject of organic produce vs. conventionally grown is fraught with controversy. There are many aspects to consider, from the environmental impact to cost. But when it comes to nutritional value, most studies have shown that conventionally grown foods and organic foods are similar. Recent research that analyzed data from hundreds of studies found no consistent differences in the vitamin content of organic products, and only one nutrient — phosphorus — was significantly higher in organic versus conventionally grown produce. While conventionally grown foods do have higher levels of pesticide residue, both organic and conventional foods fall within allowable safety limits. If you are concerned about pesticides but can’t afford to go fully organic, follow the recommendations of the nonprofit organization Environmental Working Group. Their “dirty dozen plus” list highlights the types of produce that are most susceptible to pesticide residue. Fact: Microwaves heat foods through a type of electromagnetic radiation, but the word “radiation” is thought to be the genesis for this nutrition myth. The type of radiation that heats foods in a microwave is not like the radiation used to treat cancer patients or the rays used when you get an x-ray. 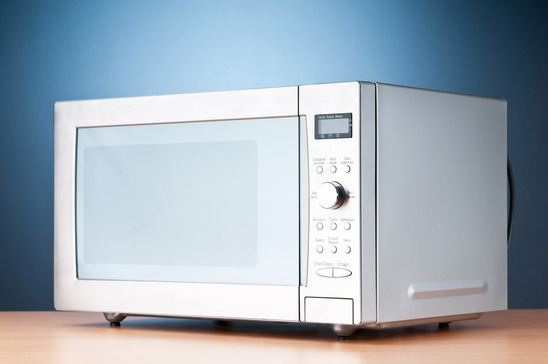 What’s more, the FDA requires that the low-level radiation that is used in microwaves is essentially all contained within the microwave and all microwaves sold in the US must meet strict FDA requirements for emissions. There are no published clinical studies that show that microwave ovens are linked to increased risk for cancers in humans. And studies with rodents have had mixed results. Some studies suggest a link between increased cancer tumor growth with long-term, high-level microwave radiation exposure while others don’t. What to worry about? Avoid using plastic contains in the microwave that contain BPA which can release harmful chemicals and since burns are the biggest health hazard, use caution when microwaving food. Fact: It’s hard to know exactly where this started and why it keeps going, but some say it stems from the never-ending Butter vs. margarine? debate. Butter lovers like to claim a lot of unsavory things about margarine, including this popular myth. Truth is, margarine (and soft spreads) is made when liquid vegetable oils undergo the process of hydrogenation (adding hydrogen atoms), which turns the liquid vegetable oil into a solid at room temperature. While the process is definitely less “natural” than butter that is made from cream, it doesn’t mean margarine is anything like plastic. The reason why margarines are less likely to spoil is because vegetable oils are shelf-stable and don’t go rancid quickly compared to dairy products that spoil without refrigeration. In the past, margarines did get a bad rap for having trans fats, but most brands have eliminated the harmful trans fats from their products. While the calories of butter and margarine are the same, the potential health benefit of margarine is that it will have significantly less saturated fat than butter and they are cholesterol-free. Margarine and soft spreads have a role for many individuals who try to meet American Heart Association guidelines for limiting saturated fat to no more than 7% of total calories or about 15 grams per 2,000-calorie diet. 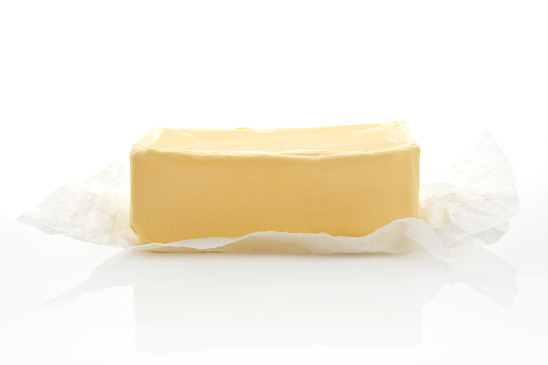 According to the USDA nutrient database, a tablespoon of butter has 7 grams of saturated fat compared to 2 grams in a soft spread. Fact: When something sounds too good to be true, well, it probably is. A “Negative calorie food” may sound great, but unfortunately there is no such thing. The myth of “negative calories,” stems from the notion that some foods will burn more calories than they provide. The faulty logic of this urban legend rests on the idea that the thermic effect of food (TEF), that is, the amount of energy required to digest some foods, can give certain foods less-than-zero calories. Celery, apples, and limes and are among those touted to be negative calorie foods. Sadly, there are no negative calorie foods. The TEF generally ranges from 10%-20% of the calories in a food. 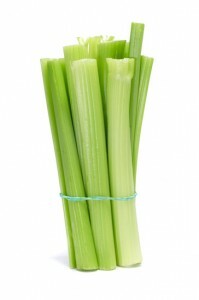 So let’s say a celery stalk has 7 calories. Even if we assume a 20% TEF, that still means your left with about 5.5 calories. Sorry folks!